"I had a Blue-winged Warbler in Schmidt's Woods at around 9 a.m., which is a county and town first for me." "As you can see, the new nest boxes are already occupied. "Thanks to all on behalf of the Kearny Marsh." 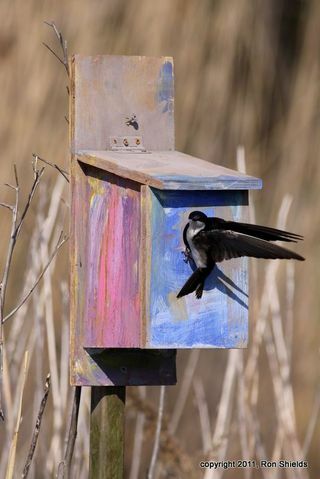 Scroll down for earlier post on the new Tree Swallow boxes at Kearny Marsh. NJMC naturalists installed the nesting boxes last Thursday, and occupancy began soon after. 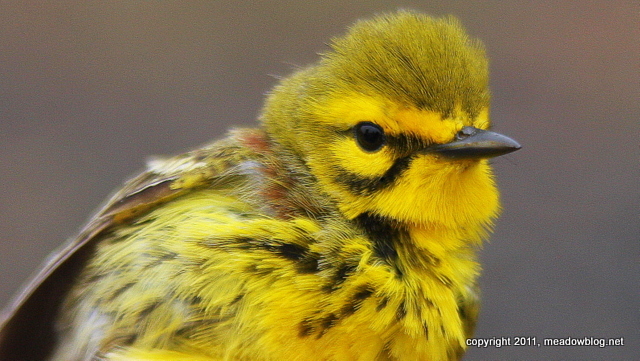 It's prime time for warblers. Who's this, photographed last month at the bird banding station by Harrier Meadow in North Arlington?